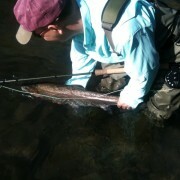 Caleb hard at work tailing a hot steelhead for a client. Here we are on the brink of fresh cool October mornings. Where has the year gone? The Deschutes has been in better shape than it has all year. The freezing elevation dropping low enough on Mt Hood to help clear up the lower river a bit. 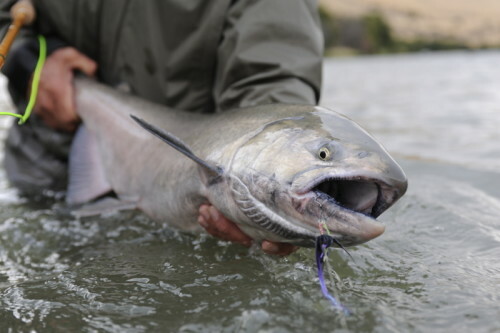 The lower river has a lot of chinook salmon running around a we are even hooking a few here and there, but don’t think landing these brutes is any easier than predicting when you might hook one. 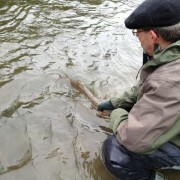 As for the Steelhead they are around too, a bit more predictable as well, for steelhead any way. With a combination of floating lines and the occasional sink-tip ready at hand, we are still finding fish. 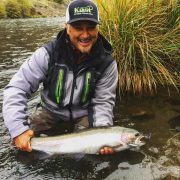 Over all numbers of steelhead appear to be down for the the year, but I have seen some real quality fish hooked and a few landed, but that’s the fun part. 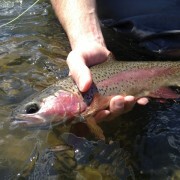 This wonderfully colored wild fish, came almost at the end on the swing. fishing the fly all the way in is very important! 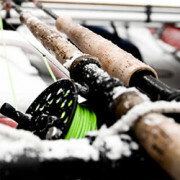 Now for the stuff people need to hear to help them hook a few more fish. 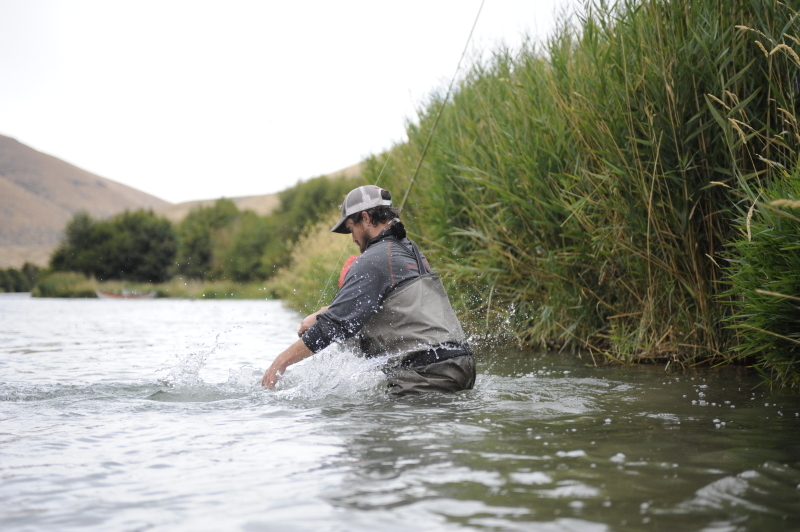 First off let the fly finish fishing, to many times I see angler retrieving their line before it has come to a complete stop. 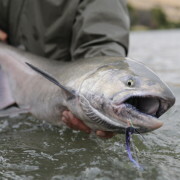 With high number of Chinook in the river the steelhead get pushed to the edges most often. Number two don’t wade out to far, this will help the fly fish in closer to the bank. 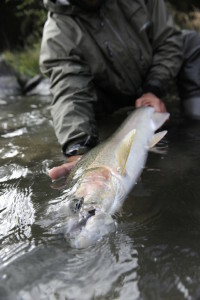 The last thing I am going to mention is make sure you leadrer/sinktip turns over and is fishing ASAP, thats rite fish the cast correct from the beginning and you will cover your water cleaner and better. 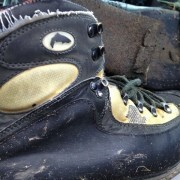 Hope you all are getting out and taking care of business, be back soon. 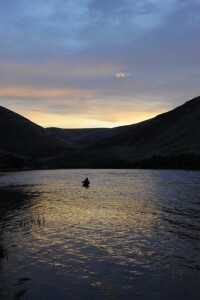 What a place to fish at first light! 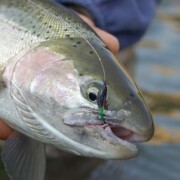 New Summer Steelhead flies for this year. 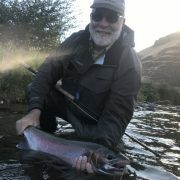 As the fishing gets tougher, So do I.
Deschutes Summer Steelhead Fly Fishing mid Season Report Stable rivers make Steelhead happy!